For children, the thought of having to go to the dentist, even just for a routine cleaning and exam, can be scary. There are several things that can be done to help ease their feelings of unease. In addition to preparing them at home, we strive to provide a comfortable environment in our office. We speak to your child in a gentle voice and avoid the use of words that could induce fear. We also show your child our tools and explain what they are used for before doing anything. Even with all of these steps, your child may still feel anxious or be unable to sit still. 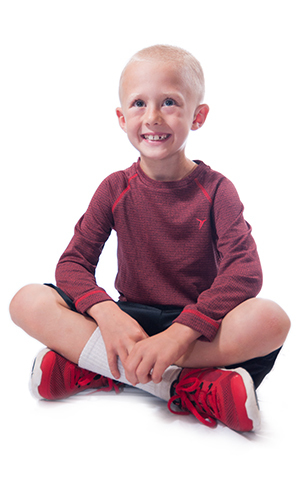 At Great Grins for KIDS - Oregon City, we can help anxious and fearful children more comfortable for their dental treatment with sedation dentistry. From the moment your child walks into our office, we strive to provide them with a safe, comfortable, reassuring atmosphere. Our front office staff is incredibly friendly. We speak to your child in a calm, upbeat tone and avoid using words that might trigger fear. We show them our tools and explain what they are for before we use them. Even with all of these steps, however, some children are still anxious or afraid. When your child is afraid, they might become squirmy, which can impede our ability to perform treatments safely. Sedation uses gas or medications to help your child relax so that we can provide them with the care they need in a much safer, more effective way. You are probably more familiar with nitrous oxide under its other name, laughing gas. This type of sedation is the mildest form available. It is mixed with oxygen and administered through a small mask over their nose. Your child breathes in the gas, and it goes to work almost instantly. This form of sedation makes your child feel more relaxed while raising their pain tolerance and lowering their gag reflex. They are still completely conscious and able to respond to questions and requests. Your child is monitored closely throughout the procedure. Once the gas is turned off, the effects wear off fairly quickly, and your child is back to their normal self in no time. Oral conscious sedation is a type of sedation that involves the use of a medication taken by mouth. Before their appointment, we will provide you with instructions regarding food and liquid intake. It is important to follow these instructions to ensure the safety of your child. Approximately an hour before their procedure, your child is provided with a medication that will make them feel relaxed and sleepy, although they will remain completely conscious. It is common for this type of sedation to cause temporary amnesia, where your child may not remember parts, or any, of their procedure. All they will recall is the relaxed feeling from the sedative. The effects of oral conscious sedation linger for several hours following the completion of treatment, so it will be important to monitor your child for the remainder of the day and limit their activities until they begin to feel normal. Nitrous oxide and oral conscious sedation can be effective in many situations, but they are not right for everyone. Children who need an extensive amount of dental work, those who are too young to understand sitting still, or those with extreme anxiety may be recommended for general anesthesia, which can be done in our office or a hospital setting. We work with a group of highly experienced anesthesiologists who are very well versed in working with children. General anesthesia is administered directly into the bloodstream through a needle. Before administering the medications, however, your child is provided with inhaled anesthetics so that they are asleep before a needle is ever placed. Your child is monitored very closely throughout the entire procedure. The effects of general anesthesia can linger for several hours, so it is important to keep an eye on your child as these effects wear off. With sedation, we can perform a variety of different treatments in a safer, more effective manner, helping your child to better maintain the health of their mouth. For more information, and to find out if sedation is right for your child, call Great Grins for KIDS - Oregon City at 971-470-0045 today.